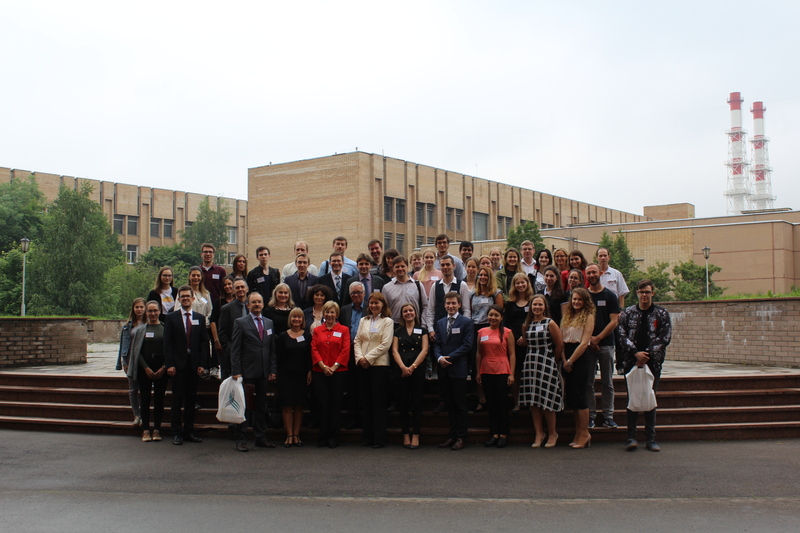 88 people, among them 72 below 35 years participated in the International Youth Summer School «Aerogels: from laboratory to industry» which was held in Moscow, 13-14 July 2017 in D. Mendeleev University of Chemical Technology of Russia. The International Youth Summer School was organized in a two-day format. The first day’s program included presentations of leading scientists in the production and use of aerogels, as well as reports of young scientists. A very good balance between female and male researchers had been achieved, among them five highly recognised female professors, thus offering role models in addition to the excellent scientific content. The language of the event was English and Russian. Pavel Gurikov (TUHH) and Dr Evgeniy Lebedev (MUCTR), two members of the NanoHybrids team, moderated the day. On the second day of the international school, on July 14, three master classes for young people were held. Foreign participants included representatives from 8 countries (Germany, Switzerland, Poland, Serbia, France, India, Turkey, Norway). Russian representatives included universities, state and academic institutions, and others. In addition, there were students, undergraduates, post-graduate students and staff of D. Mendeleev University of Chemical Technology of Russia.